Igor Stravinsky is justly regarded as one of the giants of twentieth-century music. His influence upon contemporary music has been enormous; composers influenced by him include Carl Orff, John Tavener, Aaron Copland, Edgard Varèse, Frank Zappa, and others. He is best known for his three ballets: The Firebird, Petrushka, and The Rite of Spring, which revolutionized classical music and fused avant-garde modernism with archaic themes. He later posed as an urban cosmopolitan but acknowledged his debt to his homeland toward the end of his life. Like many other modernists, he also was a man of the Right. Stravinsky was born to a musical family in Oranienbaum in 1882 and grew up in Saint Petersburg. He was not a prodigy and did not begin composing until the age of 19. Although he wanted to study music, enrolled at the University of Saint Petersburg to study law, fulfilling his parents’ wishes. He neglected his studies and spent most of his time composing. In 1905, he began to study composition full-time under the private tutelage of Nikolai Rimsky-Korsakov. His juvenile compositions, though pleasant, are mostly derivative and unexceptional. With one exception: his Feu d’artifice (1908), a short and lively work whose metric irregularity and colorful orchestration hint at his later style. It was Feu d’artifice that drew the attention of ballet impresario Sergei Diaghilev, who commissioned him to arrange some Chopin pieces for the Ballets Russes. He then commissioned The Firebird for the 1910 season. (The commission originally went to Nikolai Tcherepnin but was transferred to Stravinsky.) It premiered at the Paris Opera House on June 25, 1910 with choreography by Michel Fokine and décor by Léon Bakst and Alexandre Golovine. The ballet was an overnight success and launched Stravinsky’s international career. The plot of The Firebird combines elements from Russian folklore, involving both the mythical creature of the Firebird (a glowing bird with magical powers) and the tale of Koschei the Immortal. While wandering in an enchanted garden, Prince Ivan befriends the Firebird, who is in captivity and agrees to help him if he releases her. Ivan then encounters thirteen princesses in the realm of Koschei and falls in love with one of them. Koschei orders his minions to turn him to stone, but the Firebird bewitches them, sending them into a manic dance (the “Infernal Dance”) and then putting them to sleep. She then leads Ivan to the egg that contains Koschei’s soul; Ivan smashes it, freeing the magical creatures and princesses under Koschei’s spell. Echoes of Rimsky-Korsakov, Scriabin, Debussy, and others are discernible in the score (the theme of the princesses’ khorovod and the “Infernal Dance” borrow from Rimsky-Korsakov), but the work is nonetheless startlingly original. Stravinsky also makes liberal use of folk themes throughout. Petrushka followed shortly thereafter, premiering on June 13, 1911 at the Théâtre du Châtelet. Petrushka is a trickster who makes a frequent appearance in Russian folk puppetry. In the ballet, set amid Russia’s Shrovetide Fair in the year 1830, he is brought to life along with two other puppets, the Ballerina and the Moor. After he is spurned by the Ballerina, he challenges the Moor, whom she prefers, and subsequently meets his end. Both Petrushka and The Firebird marked a turning point in twentieth-century music, with their polytonality (the “Petrushka chord” consists of two triads played a tritone apart), daring rhythms, and unusual orchestration. Stravinsky pushed these innovations to their limits in The Rite of Spring. The story of the ballet’s premiere at the Théâtre des Champs-Élysées on May 29, 1913 is well-known: the performance provoked a violent riot, resulting in one of the biggest scandals in music history. Accounts of the riot differ, but most agree that it involved shouting, throwing objects at the stage, and fist fights. Stravinsky recounts, “The curtain opened on a group of knock-kneed and long-braided lolitas, jumping up and down; “Danses des Adolescentes.” The storm broke…. I went out; I said, “Go to Hell!” Vaslav Nijinsky’s choreography was particularly provocative. The work received a far more favorable reception less than a year later when a concert version was performed in Paris under Pierre Monteux to great success. According to Stravinsky’s autobiography, the idea of a ballet about a pagan rite involving the sacrifice of a young girl to the god of Spring came to him as he was completing the score for The Firebird. He approached the artist Nicholas Roerich, an authority on Russian paganism, archaeology, and folk art, who agreed to design the costumes and set for the ballet. Roerich consulted a variety of sources while creating on his designs, including the Tale of Past Years (a history of Kievan Rus’ compiled in the early twelfth century) and Alexander Afanasyev’s collections of folktales. The first set should transport us to the foot of a sacred hill, in a lush plain, where Slavonic tribes are gathered together to celebrate the spring rites. In this scene there is an old witch who predicts the future, a marriage by capture, round dances. Then comes the most solemn moment. The wise elder is brought from the village to imprint his sacred kiss on the new-flowering earth. During this rite the crowd is seized with a mystic terror…. After this uprush of terrestrial joy, the second scene sets a celestial mystery before us. Young virgins dance on the sacred hill amid enchanted rocks; they choose the victim they intend to honor. In a moment she will dance her last dance before the ancients clad in bearskins to show that the bear was man’s ancestor. Then the greybeards dedicate the victim to the god Yarilo. Western scholarship on The Rite often fails to recognize the underlying conception behind the ballet and the extent to which it was a manifestation of a broader quest for religious and cultural renewal among the Russian intelligentsia. The ritual depicted in The Rite represents not a glorification of debasement but an attempt to achieve transcendent unity with the sun god and union of the spiritual and material world. Stravinsky and Roerich’s vision of art as spiritual transfiguration was not unlike what Scriabin sought to achieve with his Le poeme de l’extase and Mysterium. They hoped to create a modern myth that would revitalize Western art itself. This attempt to revive the spirit of ancient paganism was representative of a trend among turn-of-the-century Russian artists and intellectuals, many of whom responded to the fragmentation and spiritual crisis of modern life by turning to occultism and mysticism. Stravinsky was a part of this milieu–the Russian symbolist magazine Vesy (“The Scales”) was illustrated by artists associated with Diaghilev’s magazine Mir iskusstva (“World of Art”) with whom he collaborated. It was in Vesy that Stravinsky came across a poem by Konstantin Balmont that he set to music in his cantata Le roi des étoiles (1911-12). The text reflects the Russian symbolists’ interest in ecstatic ritual and apocalyptic fire imagery. It is worth noting that Montjoie!, named for Charlemagne’s battle cry, was known for its far-right and reactionary orientation. Stravinsky was introduced to the magazine by his close friend Florent Schmitt, a French composer with fascist and pro-German sympathies. Stravinsky remained closely associated with Montjoie! over the course of its short-lived existence (1913-1914), suggesting that he was not unsympathetic to the magazine’s political stance. What most fascinated Stravinsky about Russian folk verse was its prosody, which influenced his own rhythmic innovations. With the Swiss author Charles-Ferdinand Ramuz, whom he met in 1915, he painstakingly analyzed Russian folk poems one syllable at a time. Ramuz also wrote the libretto for Stravinsky’s Histoire du soldat (1918) and translated a number of his Russian works (Pribaoutki, Berceuses du chat, Renard, Les Noces, Trois Histoires pour enfants, Quatre chants russes, Trois petites chansons) into French. Stravinsky returns to folk material, both musically and plotwise, in Renard (1916). This influence can be heard in the opening bars, in which he changes the time signature each bar and makes use of heterophony (in which multiple voices are all variations on a single melody). The instrumentation includes the cimbalom, a dulcimer-like instrument prominent in Eastern European, particularly Hungarian, folk music that Stravinsky used to imitate the gusli, a stringed instrument that originated in Byzantium and has been used in Russian folk music since the time of Kievan Rus’ (the cimbalom is also included in his Ragtime, Les Noces, and Four Russian Songs). The text of Renard, written by Stravinsky, is based on a tale from Afanasyev’s collection. The subtitle of the full Russian title (“A merry performance with singing and music”) may be an allusion to the tradition of skomoroshestvo, or folk theatre. The acrobatic mimes, the donning of animal masks (depicted also in the final tableau of Petrushka), and the playful satire also bring to mind skomorokh minstrelsy. Skomorokhi date from the time of Kievan Rus’, and their practices originated in pre-Christian pagan rites and solstice celebrations. Lesser-known than Stravinsky’s most famous works but no less original is Les Noces (Svadebka), a work for ballet and orchestra that depicts a Russian peasant wedding. It was published in 1923, but Stravinsky first conceived of the work in 1913. It is scored for four solo voices, four pianists, six percussionists, and chorus. The score’s stripped-down dynamics and austere atmosphere prefigure his neoclassical phase, but the work is deeply Russian in character. The text is adapted from an anthology of Russian folk poems compiled by Kireevsky, preserving the provincial dialect of the original. The harmonies evoke Russian folk song and ancient Turkic music and feature extensive use of the octatonic scale. The distinct sound of Les Noces renders it among his greatest and most original works. Richard Taruskin, an authority on Stravinsky, argues that Les Noces represented the culmination of Stravinsky’s growing interest in Eurasianism, which originated among Russian émigrés in the 1920s. Stravinsky was acquainted with Eurasianist figures such as Nikolai Trubetskoy, Pyotr Suvchinsky, and Lev Karsavin (brother of ballerina Tamara Karsavina, whom Stravinsky met during rehearsals for Petrushka) and would have been familiar with their ideas. The Eurasianist view that Russia was an entity distinct from both Europe and Asia contributed to Stravinsky’s often unusual instrumentation, something that differentiated him from nationalistic nineteenth-century Russian composers. His manuscripts from the 1910s and 20s also include texts that he copied by hand in pre-Petrine Cyrillic script, a stylistic choice that was perhaps symbolic. The stylistically varied L’histoire du soldat (1918) and Symphonies of Wind Instruments (1920) mark his transition to neoclassicism. Both integrate Russian elements with neoclassical devices (also with foreign dances, in the case of L’histoire). The liturgical and ceremonial character of Symphonies prefigures his neoclassical masterpiece, Symphony of Psalms; Taruskin has described the work as a musical depiction of the Russian Orthodox panikhida, or funereal rite. Stravinsky later bristled at the suggestion that he was influenced by Russian folklore. He adopted a cosmopolitan pose in the 1920s, determined to reinvent himself in Paris. Musically, he turned away from the colorful bombast of his earlier works, looking instead to the order and purity of the Baroque and Classical periods. His later remarks on his Russian period thus must not be taken at face value. Some are bold-faced lies, such as his claim that he composed the music for The Rite of Spring before deciding upon the setting. Another factor was his desire to distinguish his music from that of the Slavophilic and nationalist Mighty Handful, who generally adhered to the conventions of mainstream European art music, as well as the pseudo-folkloric kitsch often promoted by Stalin’s regime. Refashioning himself as a Western composer, he set out to collect and appropriate elements hand-picked from the vast tradition of Western music and remake them as his own. This arbitrariness lends many of his neoclassical compositions a sense of detached artificiality. But a handful of works from this period nonetheless bear the mark of Stravinsky’s genius: notably his Oedipus Rex (1927), Symphony of Psalms (1930), and Violin Concerto in D (1931). Oedipus Rex, set to a Latin libretto originally written in French by Jean Cocteau (though the narration is performed in the language of the audience), is one of Stravinsky’s most powerful dramatic works. He draws from numerous inspirations (Verdi, Mussorgsky, Handel) but achieves an impressive stylistic unity throughout. Stravinsky thought it one of his better neoclassical works. Stravinsky’s Symphony of Psalms (a commission to celebrate the 50th anniversary of the Boston Symphony orchestra in 1930) reflects his renewed faith and his conversion to Russian Orthodoxy in the mid-1920s. The work is scored for a small orchestra and choir, and the three movements are set to the text of Psalms 38, 39, and 150 respectively. Stravinsky’s use of modal harmonies and fugal counterpoint is evocative of Byzantine chants and Bachian polyphony. The finale is the most original part, with the alternating tempi moving from timeless, ethereal stasis to violent Rite of Spring-like ecstacy, then finally dissolving again into stillness. Stravinsky remained a devout member of the Russian Orthodox Church for the rest of his life. Other major works of a liturgical/religious character include his Mass (1944-48), Cantata (1953), Canticum Sacrum (1955), Threni (1958), and Requiem Canticles (1966). His lengthy neoclassical phase (which spans such disparate works as his Circus Polka (composed for the Barnum & Bailey Circus), the jazz-inspired Ebony Concerto, and the more typically neoclassical Symphony in C) culminates in The Rake’s Progress (1948-51), an opera written to a libretto by W. H. Auden and Chester Kallman, loosely based on scenes from paintings by William Hogarth. A pastiche of eighteenth-century opera, it also displays certain Stravinskyan quirks (accents on weak beats, etc.). The opera has moments of beauty, but it is inconsistent and uncertain of itself, like many of his neoclassical works, and overall fails to make a convincing impression. 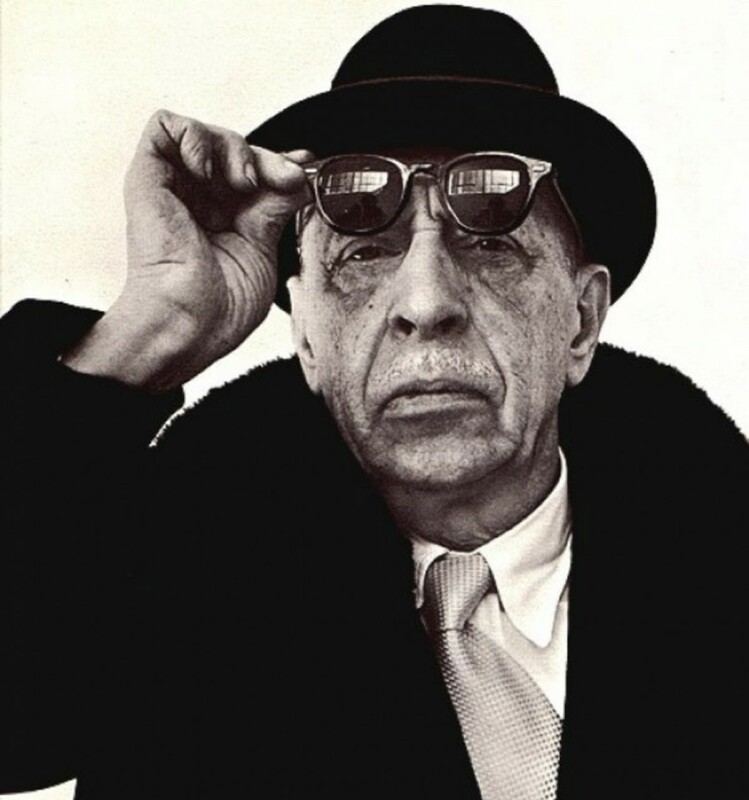 In the early 1950s (by which point he had left France and had been living in Los Angeles for about a decade), Stravinsky began experimenting with serialism, employing tone rows in his Cantata (1951-52) and Septet (1952-53). The first of his works to make use of a twelve-tone series was Agon (1954), a ballet based on seventeenth-century French dances and still reminiscent of his neoclassical phase. Threni (1958) was his first thoroughly twelve-tone composition and marked his complete conversion to Schoenbergian serialism. This bewildering volte-face (up to this point, Stravinsky and Schoenberg had been considered to occupy two diametrically opposed camps) was facilitated by Stravinsky’s assistant, Robert Craft. Craft, when he met Stravinsky in 1948, was a young American conductor with a strong interest in serialism. At first a minor assistant to Stravinsky, he shortly became something of a factotum. Many of Stravinsky’s later works (as well as his books) bear Craft’s fingerprints in some form. By the end of his neoclassical phase, Stravinsky was in the throes of a creative crisis and had grown increasingly insecure about his stature in the music world. The Rake’s Progress had met with lukewarm reviews. Serialism, by contrast, was in vogue among intellectuals. It is likely that Stravinsky’s desire (prodded by Craft) to impress his contemporaries and endear himself to younger composers played a role in his conversion. His serial compositions generally fall short of his earlier works. His best serial works are Canticum sacrum, a work dedicated to the city of Venice and set to passages from the Vulgate; Threni, a setting of texts from the Vulgate Lamentations of Jeremiah, and Requiem Canticles, his last major composition. Threni is particularly interesting due to its parallels to Les Noces, most evident in the first movement and “Sensus Spei” in the second movement. None of the above works are rigidly dodecaphonic. Stravinsky was never an orthodox serialist and never quite abandoned tonality completely. Stravinsky was also a passionate admirer of Mussolini: “I don’t believe that anyone venerates Mussolini more than I. To me, he is the one man who counts nowadays in the whole world…. He is the saviour of Italy and–let us hope–of Europe.” After meeting Mussolini, he remarked, “Unless my ears deceive me, the voice of Rome is the voice of Il Duce. I told him that I felt like a fascist myself…. In spite of being extremely busy, Mussolini did me the great honor of conversing with me for three-quarters of an hour. We talked about music, art and politics.” In 1936, Stravinsky gave Mussolini an inscribed copy of his autobiography. He performed and conducted in Italy throughout the 1920s and 30s, even conducting the Fascist anthem “La Giovinezza” before performances. Stravinsky’s reception in National Socialist Germany was not as hostile as one might imagine. Although his music was rarely performed in Germany in the early 1930s, he enjoyed some degree of success from 1936 to 1939. In 1935, Stravinsky himself began to embark on a campaign of “rehabilitation,” eager to promote his music in Germany and make a public appearance. He did so in 1936 at Baden-Baden, playing his Concerto for Two Solo Pianos with his son Soulima. This ignited a renewed interest in his works. About 18 productions of The Firebird were staged in Germany between 1935 and 1940. In 1937, the European premier of his Jeu de cartes took place at an arts festival sponsored by the NSDAP itself and was a great success. Stravinsky’s autobiography was published in Germany in the same year. 1938 saw the German premier of his Persephone. Some German critics defended Stravinsky in the wake of the “Entartete Kunst” exhibition. Richard Ohlekopf, editor of Signale fur die musikalische Welt, protested that Stravinsky was “fundamentally Russian” at heart and that his popularity among Germans attested to the völkisch character of his music. Another critic writing for the Nationalsozialistische Monatshefte also defended Stravinsky. His inclusion in the exhibition does not seem to have affected his engagements at the time. In January 1939, Stravinsky’s German publisher wrote to him in a letter: “I can happily inform you that your standing in Germany is apparently entirely restored.” Numerous performances of his works (Oedipus Rex, The Rite of Spring, Apollon musagète, and others) were planned for the 1939/40 season. However, they were canceled following the outbreak of the Second World War, and Stravinsky’s music was banned once again during wartime. Particularly given Stravinsky’s anti-liberal views, it is unlikely that his overtures of friendship toward Fascist Italy and the Third Reich were nothing more than pragmatic attempts to increase his commercial success. Of course, the antifascist Bartok similarly encouraged German performances of his music. But Stravinsky was especially eager to cultivate relations with Germany and Italy, even canceling his South American tour to appear in Baden-Baden. As late as 1939, he wished to appear again in Germany (though this did not happen). He also never spoke out against either Fascism or National Socialism, unlike many of his contemporaries. In addition to being a composer, Stravinsky was also a conductor and pianist. Several recordings exist of him conducting his own music, collected in Sony Classical’s 22-CD box set. (It is an incredible bargain–only $45 on Amazon.) His 1960 Rite of Spring remains arguably the greatest recording of the work. His published written works include his autobiography, his 1939-40 lectures at Harvard (published under the title Poetics of Music), and, with Robert Craft, six books of selected interviews, correspondence, and commentary. These are worth reading, in spite of Stravinsky’s revisionism of his Russian past and Craft’s heavy-handed editing. It is a testament to Stravinsky’s protean genius that he was able to produce great works in a multiplicity of styles, and that a distinctly Stravinskyan voice emerges from beneath the numerous borrowed contrivances he employed. But is not accidental that his severance from his homeland brought on a period of creative uncertainty, and that he composed his greatest and most enduring works when he was most culturally and spiritually rooted. His greatest works evince a rootedness in the natural order of life, a pagan affirmation of the “simple inevitability to the cycle of birth, life, and death.” It was this that enabled him to seamlessly meld the modern with the archaic. Fittingly, his grave lies near that of Ezra Pound, himself a great admirer of Stravinsky. Eric Walter White, Stravinsky: The Composer and his Works (Berkeley: University of California Press, 1966), 209. Yarilo is also god of the sun and is symbolized by the sun wheel. Alex Ross, The Rest is Noise (London: Fourth Estate, 2008), 98. Taruskin’s claim that Stravinsky was “aloof” from the literary movements of his day is dubious. Igor Stravinsky, “Ce que je voulais exprimer dans Le Sacre du printemps,” Montjoie!, May 1913. Igor Stravinsky, An Autobiography (New York: Simon & Schuster, 1936), 53. Taruskin, 16. Not to be confused with Dugin’s neo-Eurasianism. For extensive study of Stravinsky’s borrowings from folk music and his Russian influences, see Taruskin’s Stravinsky and The Russian Traditions. Mariinsky Chorus, Mariinsky Orchestra, Valery Gergiev, Oedipus Rex & Les Noces. Hyperion Records, 2010, CD. Liner notes. Joan Evans, “Stravinsky’s Music in Hitler’s Germany,” Journal of the American Musicological Society, vol. 56, no. 3 (Fall 2003), 538. Also excellent are Valery Gergiev with the Kirov Orchestra, Michael Tilson Thomas with the San Francisco Symphony, and Antal Dorati with the Minneapolis Symphony Orchestra. Quoted in Jonathan Cross, ed., The Cambridge Companion to Stravinsky (Cambridge: Cambridge University Press, 2003), 47. Published: June 8, 2018 | This entry was posted in North American New Right and tagged A. Graham, articles, ballet, classical music, folk music, Igor Stravinsky, North American New Right, originals, paganism, Russian identity. Both comments and trackbacks are currently closed. This was an enjoyable reading. I have heard The Rite of Spring many times in my life (as a child, I was introduced to it by Disney), but never saw the ballet until today. It left me almost ecstatic! I will now try the Firebird and Petrushka. Thanks for prompting me to do this! When the hipster types get excited about “jazz as the new classical” (e.g., Marsalis brothers), I always remind them that there is more rhythmic variation in the first few bars of most Stravinsky pieces than in anything ever written by blacks. Actually, what is called “swing” today was first introduced in French baroque music performed almost exclusively at royal and aristocratic courts, where it became an unwritten rule that fast sixteenth-notes written with equal note value should be played “inégales”, that is, with unequal duration alternating between long and short. This then was introduced by French immigrants into the United States, most notably in New Orleans, where it was picked up and adopted local by musicians, Black AND White. Another example of “proto-swing” is Beethoven’s piano sonata no.32 in C minor, the second movement. Stravinsky belongs to a later period, but at the end of 19th century, nationalist sentiments in music were somewhat controversial and cause confusion among today’s readers. In autocratic and Imperial societies, such as Austria, Germany and Russia, strictly nationalist sentiments, even those pertaining to the majority group, were seen as products of liberal-democratic worldview. On Russian court, which must be noted without any feeling of adherence to be the last standing bastion of grand style, strict standards and refinement in Europe (perhaps along with some courts in Germany), strictly nationalist movement was seen as extremist and eroding to high taste and institutions built with aristocratic guidance and classical sensibility. It is no wonder that modernism has in fact rehabilitated such music, shifting the perspective so that the nationalist trend was now upheld as the highest form of art. But what later authors such as perhaps also Stravinsky held as more “superior” form of art, was in fact just the continuation of the evolution on that path. Overjoyed to see more Stravinsky on this site. His music played no small part in my development as a human being and he remains one of my absolute favorites. What a treat.